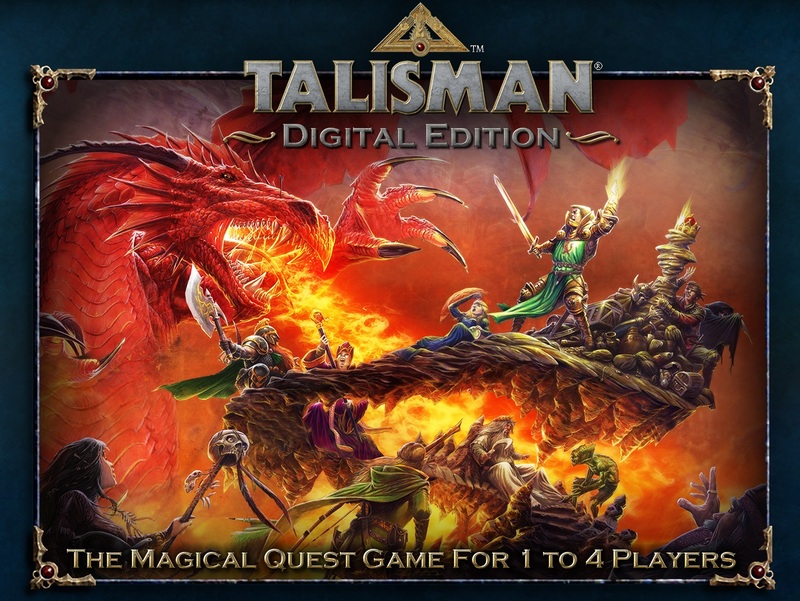 For anybody who missed my review of Nomad Games’ Talisman Digital Edition, allow me to summarize: Talisman DE is exactly what I want in a digital adaptation of a beloved tabletop game. 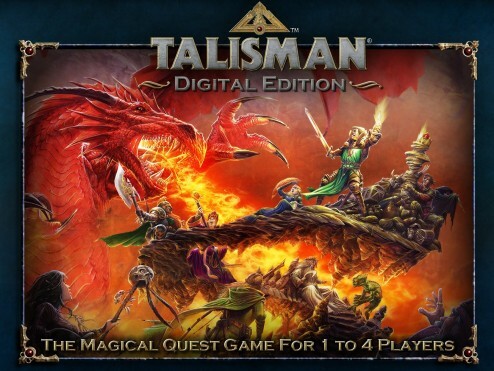 Moreover, at a $14.99 price point (currently $5.54 thanks to the Steam summer sale) Talisman DE offers a convenient entry point into this otherwise expansive tabletop franchise. But Adam, this game has a ton of DLC and you hate DLC. The charge is hypocrisy, good sir, defend thyself. True, I do generally hate DLC, but I hate DLC in the context of Dragon Age: Origins; whereupon the DLC is built into the game such that a character comes along and says, “hey, come help us do x,” and when you agree to do x, you’re rewarded with an invitation to part further coin from hand. Talisman’s DLC mirror the expansions to the 4th edition of the Talisman tabletop game. While their roll-out might seem swift, it is only because they represent years of expansions to the Talisman tabletop game. In other words, this is not day-one DLC so much as a content rich intellectual property. At the time of this post, Nomad Games has released two Talisman expansions – The Reaper and Frostmarch – and four additional stand alone characters. In addition to bringing four more playable characters to the game, The Reaper introduces Death to the quest for the Crown of Control. With the ability to temporarily take control of the Grim Reaper, the expansion adds an additional layer of strategy to the game’s player versus player combat. Frostmarch, which also adds four more player characters to the mix, addresses Talisman’s end game. Instead of rolling for the Crown of Control, players now have a choice of three alternative endings. Of course, both Frostmarch and The Reaper add new equipment, encounters, and spells to the core game. In addition to producing the expansions, Nomad Games has made a few behind the scenes improvements to the overall experience. In general, the AI is much smarter now than it was when I wrote my initial review. A few nights ago I killed an AI player, forcing it to draw a new character mid-game. The resurrected AI proceeded to do everything it could to ruin my game, which it finally did with a single spell. The AI also seems more apt to press toward a competitive endgame, rather than dawdling about the board. The game’s interface also feels more player friendly after a few updates. Multiplayer games can now be saved and restored – an absolute blessing for those of us who don’t have three solid hours to commit to a single game. A slide bar makes reviewing player and opponent cards a more natural affair. Clicking on a card on the board now brings up the card, every time. When I attempted to do so in the past, the game would occasionally interpret my click as a desire to move my piece. Absent an undo option this was quite annoying. Arguably, the most useful change is having the information window at the bottom of the screen default to a view of usable cards during an opponent’s turn. Now there’s no excuse not to know what cards you have in your hand and when you can use them in-game. In my humble estimation, these expansions and updates serve to make an already good game even better. I’ve said it before and I will say it again, Talisman DE is a must have for fans of the source material as well as those looking to get into Talisman without necessarily committing to buying the tabletop game. Thanks to the Steam sale, the Talisman gold pack – featuring the core game, the two current expansions, and the nine yet to come – costs less than the vanilla tabletop version of Talisman. If you were on the fence about Talisman, there’s never going to be a better time to take the plunge.